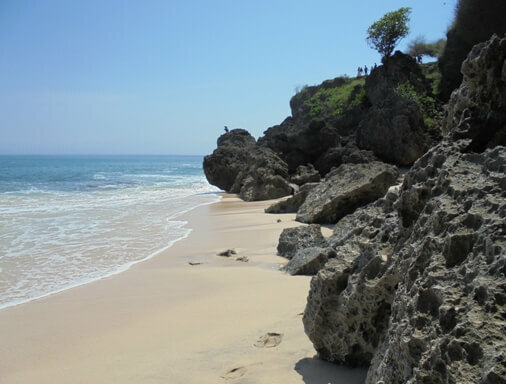 Tegal Wangi beach is situated in the bottom of steep cliff, not too extensive, with pleasant white sand. 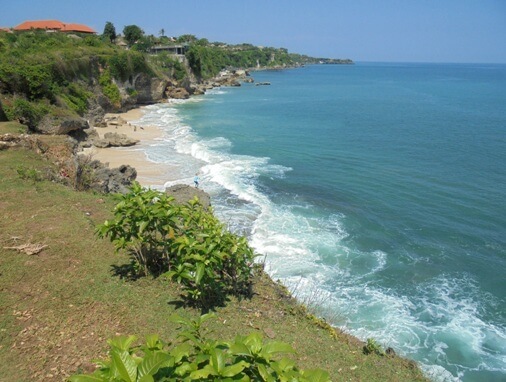 The beach is located close to Pura Segara Tegalwangi, in Jimbaran, District of South Kuta, Badung Regency, Bali. Magnificent view will greet any visitors who come here. This place is easily accessible by car and only take 30 minutes from Ngurah Rai International Airport. The beauty of the panorama can be enjoyed from the cliff top along with the waves and cool sea breeze, large boulders, turquoise sea, and not to mention the beautiful steep cliffs covered by lush vegetation. Natural impression firmly attached to this beach and still less visited even by local. There is a narrow trail on the cliff side, slippery and rocky, an access to the beach below. 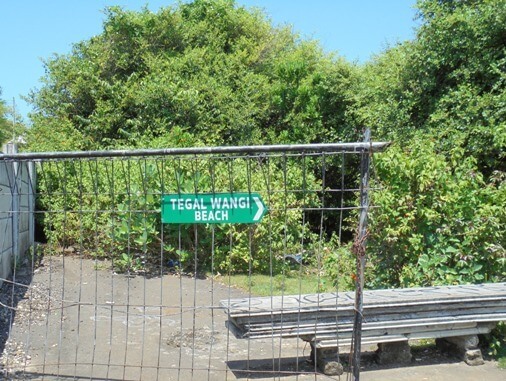 The beach has not been arranged and limited tourist facilities, no room, no toilet, no food stall, only parking lot. 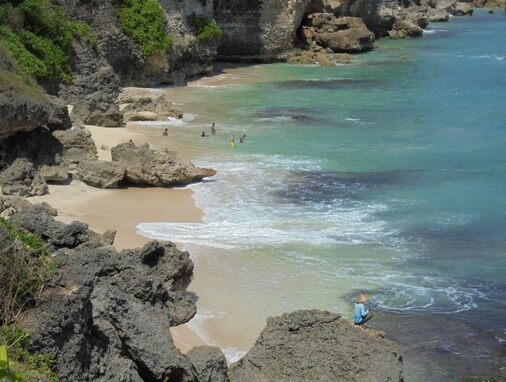 This beach has big and strong waves and also sharp rocks, it is advisable to be careful. Take your time to enjoy the atmosphere here, while refreshing and rejuvenate your energy at Tegal Wangi Beach, Jimbaran Bali.